Contact us NOW, TOLL FREE, at (844) OBRIEN4 (844-627-4364) or use the contact pop-up to either set up a FREE CONSULTATION or simply send us your information confidentially for us to review. 1. Why is my employer denying my benefits? 2. Who from the employer will be at the hearing? 3. I want a witness to testify. How do I do that? 4. What if some relevant documents are still with the employer? 5. Do I have to appeal within 14 days like it says on the letter? 6. What is the telephone appeal hearing like? 7. How long is the hearing? 8. Do I need an attorney at all? 9. Will any attorney do? 10. I see a couple of attorneys online advertising that they handle Texas unemployment hearings. Why should I pick Kerry O’Brien? 11. What is Kerry O’Brien’s success rate? 12. Before I hire Kerry, I want to know if I have a case. How can I get him to review my case first? I’m Kerry O’Brien, a former state assistant attorney general and a former Texas unemployment hearing officer with the Texas Workforce Commission (over 800 hearings as a hearing officer). I’m one of the most experienced Texas unemployment lawyers in the state, having represented claimants for the past 8 years. I help you fight to win your TWC unemployment hearing, regardless of where you are located. Since 2008, I have handled hundreds of unemployment hearings for tons of satisfied clients around Texas and even the world. Whether you’re in Dallas, Austin, Houston, San Antonio, El Paso, Brownsville, Lubbock, Amarillo, Beaumont – or anywhere in between – I can help. I’m Texas Board Certified in Labor & Employment Law by the Texas Board of Legal Specialization and — this law firm only takes claimant/employee cases. The O’Brien Law Firm doesn’t switch hit for employers like some attorneys do. We are dedicated to improving the lives of Texas employees. As part of handling your hearing, I can also tell you whether or not I think you have a wrongful termination case against your employer. I handle many wrongful termination and discrimination cases. I have recovered thousands of additional dollars for people like you who I first helped in an unemployment hearing. Tons of your TWC unemployment appeal questions – ANSWERED. 1. Why is the employer denying benefits to the former employee? Your employer isn’t – the TWC is. While the employer can protest your claim and submit evidence to help get your benefits denied, the TWC is the one that makes the decision based on the law and their guidance cases. While you might be able to guess, you don’t know for sure until you get in the hearing. However, that cuts both ways. Sometimes, the telephone hearing is the first time that your former employer finds out that you have Kerry O’Brien as your attorney. It’s a nice surprise. First, your witness has to have testimony that will be relevant for the hearing officer’s decision making. Oftentimes, a witness that will testify that you were a good worker (a “character witness”) won’t be relevant unless the issue is your work performance. Second, if the witness still works for the employer, that can be tricky. Kerry O’Brien is very experienced in determining what witnesses will likely help your case and how to get their testimony, if it’s possible or smart to do so. Choosing what witnesses – if any – will help your case is something that an experienced unemployment attorney can be very helpful with. That’s also a situation where you can benefits from the help of an unemployment attorney. It depends on many things. Are the documents relevant to the Hearing Officer’s decision making? Are they easy to describe and locate? How much time is there before the hearing? Will a subpoena be effective? Will a Hearing Officer even issue one? Oftentimes, there’s a better way to get important documents from the employer than trying to go through the Hearing Officer. Again, this is a situation where the help of an unemployment attorney can go a long way. YES! Your failure to do so could result in losing your chance to have an appeal decision made in your case. Here’s what Kerry O’Brien suggests: If you receive a Notice of Determination of Benefits that denies your benefits claim, write “I appeal” and sign your name in the white space in the center. Fax that one page to the fax number at the bottom (usually (512) 475-1135) and keep the confirmation page. That’s it. That is sufficient for the TWC to set a hearing on your appeal. Kerry does not advise that you try to argue your case in writing in your appeal. Save that for the telephone hearing with the TWC Hearing Officer. You (and your representative, if you have one) are on the phone with the hearing officer, the employer’s representative and any witnesses for the employer. It’s a conference call. For the most part, if you have a representative (like attorney Kerry O’Brien), your only job during the hearing is to answer questions that are asked of you. If you are handling the hearing yourself, you will also have to deal with the admission of documents, selecting witnesses and cross-examining the employer’s witnesses. The typical employer “separation” hearing (dealing with why you were fired or why you quit) is usually set for one hour. If the hearing doesn’t finish by the end of the hour (and it often doesn’t), it is normally reset to finish at another date and time. You’d think an attorney’s website would say “of course,” but that’s not necessarily the case. In Kerry O’Brien’s opinion, you should get an unemployment attorney to prepare you and represent you if (1) your unemployment benefits are important to you, (2) you may have a wrongful termination case against your employer, and/or (3) your nervous about being on the phone against your former employer. Those are great reasons to get a smart, experienced unemployment attorney. Not at all. There are plenty of great attorneys who have no clue on how to properly handle a TWC unemployment hearing. These hearings are a different animal. Attorneys who are used to dealing with judges in court will be surprised when the Hearing Officer won’t allow them to make objections or go into extended lines of questions that the attorney is sure are relevant – but aren’t, for the TWC Hearing Officer, and that’s whose opinion matters here. The best attorney is one who used to be a TWC Hearing Officer – because they know exactly how the Hearing Officer thinks and what information the Hearing Officer needs to be able to write a decision in your favor. Kerry O’Brien’s approach is to think – ahead of time – of what he wants the Hearing Officer’s decision in your favor to say, and prepare you and him to present a case that pushes the Hearing Officer in that direction. 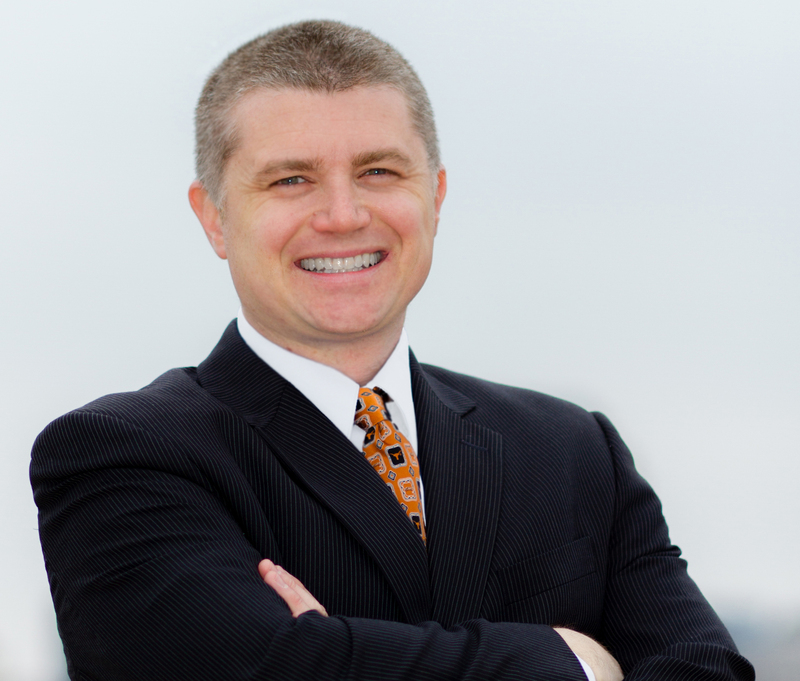 He’s Texas Board Certified in Labor & Employment Law by the Texas Board of Legal Specialization. Have those attorneys passed the rigorous criteria to demonstrate they are a specialist in knowing and handling cases involving our employment laws? He’s a former Texas Workforce Commission hearing officer. His firm only represents Texas employees. He can analyze your case for a wrongful termination, or unpaid overtime wages. Sometimes he has been able to start as your unemployment attorney and finish by getting the employer to send you a nice check for another reason. The flat fee helps make your cost predictable – you don’t have to “watch the meter,” like you have to with a taxi cab or with many attorneys. Other Texas employment attorneys – even board certified ones – come to Kerry for advice and information on handling unemployment claims. He doesn’t keep stats, but just based on reviewing all of the decisions when they come in, he would estimate around 75%. After doing this for 7 years, Kerry has found that the best way to allow him to get to know your case well enough to give you an opinion, while getting your commitment and respecting his time, is to set up the representation to handle your case. Then, if, after reviewing the case file sent before the hearing and the TWC investigator’s notes that come with case file, and discussing the case with you at length, he determines there is little that he can do to improve your chances of winning, he will offer to refund 50% of your fee in lieu of representing you in the phone hearing itself. This allows the client to cut his or her losses in the occasional case where even a great, experienced attorney can’t save your case from difficult facts and evidence. When this happens, Kerry has been able to keep claimants from going through with an emotionally frustrating and nerve-wracking TWC hearing that likely wouldn’t do them any good, which is valuable in itself. No matter what the situation, Kerry is here to improve your life. Occasionally, that means advising you when you will have a very hard or impossible time winning your case. This is the large book of guidance cases that the TWC Hearing Officer uses to guide their decision making in each case. The Manual contains hundreds of prior cases that have each been summarized into a paragraph, with a brief description of the facts that the ruling of TWC Commission Appeals. The TWC Hearing Officer will take the facts from your hearing and use the guidance cases in the Manual to try to come up with a decision that is consistent with the rulings from similar past cases. As a former hearing officer, Kerry O’Brien is very familiar with the cases in this manual. Here are some of the most-used chapters from the Manual – you can take a look yourself. ABLE AND AVAILABLE – For issues about whether you’re able and available to work. MISCONDUCT – For hearings that examine the reason that they employer terminated you. VOLUNTARY LEAVING – For hearings that examine the reason you quit your job. PROCEDURE – These cases cover procedural issues for the appeal process. SUITABLE WORK – For issues regarding whether it’s OK for you to decline a particular job offer while on unemployment. MISCELLANEOUS – Used most often for the issue of whether you can reopen a hearing after missing a previous hearing setting. Once again I would like to thank you for all you have helped me with and I think your a person with a BIG HEART. Without you I couldn’t have made it. God bless you. I would like to say the you did a great job for me and I thank you from the bottom of my heart. When no one else trusted in me, you did, and we got the the truth out. That make me so happy, and I tell everyone what a great man you are. Even when I came with a little, you turned it into something way bigger than I thought. God bless you.